Let this Valentines's Day be one to remember when you combine a romantic evening away at the Alps Boulder Canyon Inn with one of these Valentine's Day dining specials. Guests of the Alps Boulder Canyon Inn are being offered many great reasons to get out and enjoy a romantic night away. Take a moment to review our current Alps and Valentine's Day Packages and Specials, designed to enhance your get-a-way and stay at the Alps Boulder Canyon Inn. Many offer exceptional local values and opportunities to experience our local dining, attractions, lifestyle and romance. 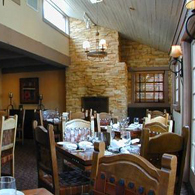 The Greenbriar Restaurant is offering guests of the Alps Boulder Canyon Inn a (10% discount on dining) when they present their special "Alps Coupon". 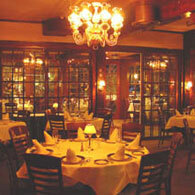 Valentine's Day Menu will be provided soon. 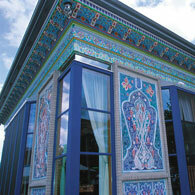 See other current Alps Boulder Canyon Inn Packages and Specials. Information and details to be provided soon! The Boulder Cork will be offering a special Valentine's Day three course dinner for $39.95 along with their regular dinner menu. Note: The Alps Boulder Inn is not affiliated with any of the above restaurants and cannot be held responsible for changes, substitutions, additions or deletions from these menus or offers.